Dr. Oster is trained in all medical and surgical treatments of the foot and ankle. 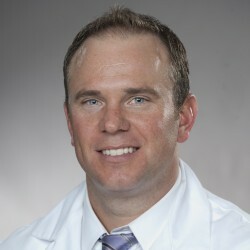 He is a Fellow of the American College of Foot and Ankle Surgeons (FACFAS), and a Member of the American Podiatric Medical Association and the Illinois Podiatric Medical Association. Dr. Oster welcomes new patients of all ages. His practice interests include general foot care for children and adults, diabetic foot care, and podiatric surgery. Dr. Oster’s treatment philosophy focuses on practicing podiatric medicine and surgery in a successful manner with integrity, respect, and care for all patients. He encourages an open dialogue with his patients and concentrates on addressing all of their foot and ankle concerns with a compassionate approach.